ACADEMY FOR MOUNTAINEERING AND ADVENTURE SPORTS is located in NEYYATTINKARA Kerala . ACADEMY FOR MOUNTAINEERING AND ADVENTURE SPORTS is registered as a Society at THIRUVANANTHAPURAM of state Kerala with Ngo unique registration ID 'KL/2012/0052157' . 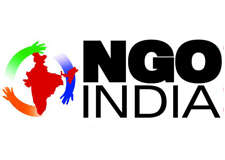 The NGO registration is done by Registrar of Societies with registration number T1947/06 on the date of 15-03-2006, Its parent ORganaisation is PaulFoundation. The Chairman of ACADEMY FOR MOUNTAINEERING AND ADVENTURE SPORTS is M C RAMADAS and Chief functionary officer is C RAJENDRAN DIRECTOR. Promoters are K MOHANAKUMARAN NAIR, JAIN GEORGE, ARJUNLAL B,K P MARY GERALDIN.